How to change site logo in SharePoint 2013? - How to change the favicon in SharePoint 2013 site? This will open the dialog box to change the logo. In SharePoint 2013, there are 3 options to upload a logo. "FROM COMPUTER" will allow you to browse the logo from you computer. But it will put the logo in the Site Assets document library. "FROM SHAREPOINT" allows you to browser from one of the Libraries. Apart from this you can also directly paste your logo URL. check fig below for the 3 options. After this click on OK, you logo will appear in the site. The five pillars are Share, Organize, Discover, Build & Manage. SharePoint 2013 has lots of improvements towards social features, like Newsfeed which allows to view and post updated like twitter. Also new feature such as follow documents, sites or people. SharePoint 2013 introduces community site, which allows to build rich discussion environment which has common features like ratings, search etc. Now in SharePoint 2013 you can embed video from external sources such as Youtube. 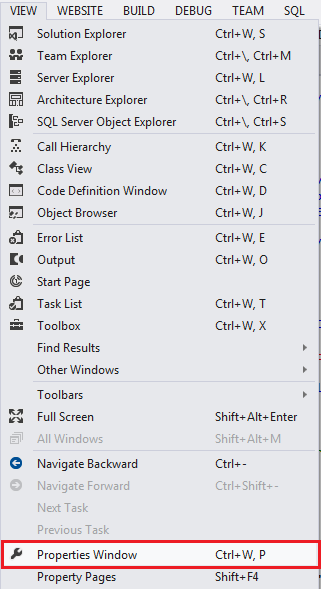 Organize is another pillar of SharePoint 2013. SharePoint 2013 provides enhancement towards document libraries. Like in SharePoint 2013 you can drag and drop files to the SharePoint library and you can sync using SkyDrive Pro. Also there are few enhancements towards SharePoint list. 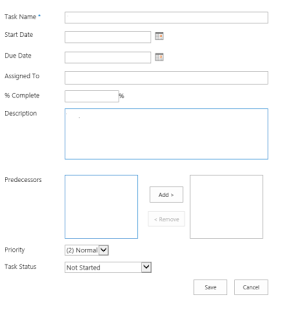 Like in Task list timeline provides visual representation of the task. Search has been enhanced for better results. Enhancement towards navigation, also now you can search with multiple repositories in the same search query. Also now you can search people based on their expertise. In this area there are lots of enhancements provided by Microsoft. There are lots of enhancements towards workflow, new workflow architecture and also better experience towards designing workflows. SharePoint provided Apps which are very much useful. SharePoint 2013 provides a new application model that supports the development, installation, management, and use of apps. In SharePoint 2013, Security, site management and site upgrade has lots of enhancement. Also SharePoint 2013 eDiscovery feature has been very popular. - SharePoint Online is a web-based service that is hosted outside your organization in the cloud, instead of residing on a server in your organization, or on-premises. And since it is in the cloud, IT infrastructure resides outside your office premises and the infrastructure is maintained by a third party. - SharePoint Online is a cloud service that you can use to access information and to interact with your team from anywhere and from many types of devices. - Previously to use SharePoint, we need to install SharePoint software in our organization, But now since cloud services are subscription based we do not need to install SharePoint on our premises. - Microsoft provides cloud based service through Microsoft Office 365 and SharePoint Online is a part of Microsoft Office 365 that also includes Microsoft Exchange Online for the web-hosted mail service, and Microsoft Lync Online for web-based conferencing. - Microsoft provides various subscription options also, like you can saw Limits of SharePoint online in Office 365 Small Business plan and Limits for SharePoint Online for Office 365 Midsize Business Plan. - But based on your requirement you can go for on-premises SharePoint deployment, or a cloud SharePoint Online solution, or a hybrid environment. The hybrid solution combines an on-premises SharePoint deployment with a SharePoint Online cloud solution and delivers a consistent user experience across a combined environment. - If you are ready now, then you can check this article to know how to create site in SharePoint Online. In this post we will discuss where to download language packs for SharePoint 2013, both for SharePoint server 2013 and SharePoint foundation 2013. You can download Language Packs for SharePoint Server 2013 from this URL. You can download Language Packs for SharePoint Foundation 2013 from this URL. In this post we will discuss how to create SharePoint 2013 web application through Central Administration. Before that make sure you have farm level administration as well as you are a member of the local administrator group. - Open SharePoint 2013 administration, then click on Application Management. - The above step will open the "Create New Web Application" dialog box which is similar to SharePoint 2010. - In that page, Select whether you want to create a new IIS web site or not, then in the Security Configuration section, you can select whether you want to allow anonymous access or not, whether you want to use SSL or not. In the Authentication Type, Select which type of Authentication you want. In the Sign in Page URL, you can select whether you want to use the default sign in page or you want a Custom Sign in Page. Then give the Public URL, and it is better to create a new Application Pool. Then it will ask you a Service account credentials. After that give the Database server details, like server name, database name and better to chose Windows Authentication mode. This will create the new web application. 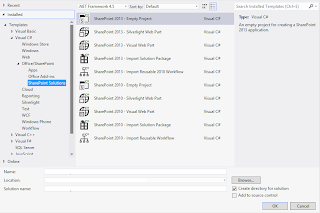 In this post we will discuss what will happen when you press F5 while developing an App in SharePoint 2013 using Visual Studio 2012. 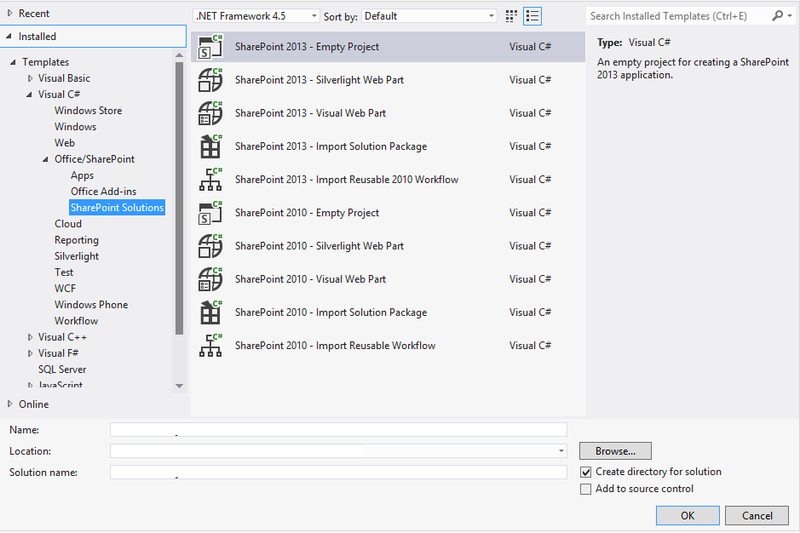 F5 key debugging also is there in visual studio for SharePoint 2013. When you press F5 by default Visual Studio uses IIS Express as the localhost for debugging sessions. 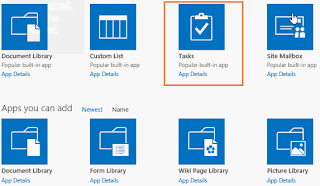 To debug the app for SharePoint, you need to be connected to SharePoint Developer Site and allow the application to be trusted if needed. 1. It builds the Web Application Project if needed. 2. It changes the URLs in the AppManifest.xml and other project fi les. 3. It packages only the SharePoint-specifi c artifacts into the Open Package Convention (OPC). 4. 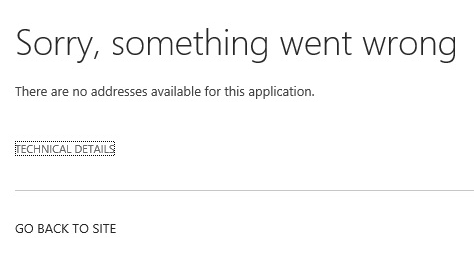 It uninstalls the SharePoint App. 5. It installs the SharePoint App (OPC) using the life cycle API. 6. It updates the Hosts fi le if Peer Name Resolution Protocol (PNRP) is not used. 7. It launches the Web Application Project in IIS or IIS Express if there is one. 8. It updates the web.confi g with the correct client ID. browser to the LaunchUrl. If not, Visual Studio just launches the All apps page. 10. 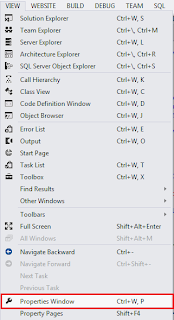 Visual Studio attaches the script debugger or Silverlight debugger. You can also check What exactly happens when we do F5 in Visual Studio 2010 in SharePoint 2010? Hope it will be helpful ! Now you can create office apps using Napa. Napa is an Office 365 development tools to build apps for office or SharePoint directly out of a browser window. 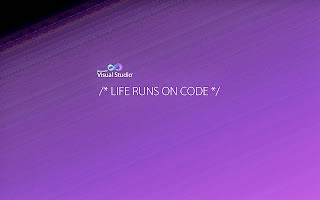 You do not need to install any other tools like visual studio. Only thing required is you should have an Office 365 account and a supported browser. You can Sign up for an office 365 developer site and then then you can install Napa office development tools on your developer site. And that is required to create apps for office documents, mail items or SharePoint. Napa, an Office 365 Development Tools gives you with a page to manage your projects. 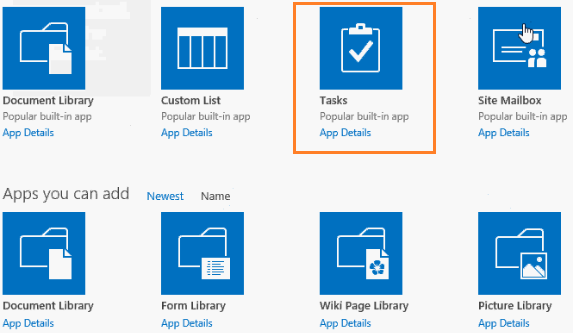 And you can use this page to create a mail app, content app, task pane app, or SharePoint app project as well as rename and delete projects. You can also open any project in Visual Studio if you decide that you want to leverage features such as advanced debugging or the ability to use a web project as part of your app for Office or SharePoint. Napa also provides a very good feature name as Share Project through which you can share your apps with someone else. The Share Project feature creates a copy of the app project and provides you with a public link that you can give to anyone to enable them to view the copy of the app project. You can see how to? In this post we will discuss how to resolve Microsoft.SharePoint.SPEndpointAddressNotFoundException error which comes in SharePoint 2013. 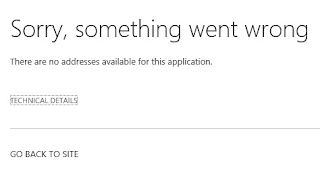 Error encountered in background cache check Microsoft.SharePoint.SPEndpointAddressNotFoundException: There are no addresses available for this application. Make sure Managed Metadata Web Service is started. To check this, go to Central Administration -> System Settings -> Manage Services On Server. Then check whether Managed Metadata Web Service is started or is stopped. If it is Stopped, then start the service, the error will not come. In this post we will discuss about the error The tool was unable to install Application Server Role, Web Server (IIS) Role, which usually comes when you try to install SharePoint 2013 on Server 2012. Sometime after running this command, the error will not come. - You can try to set the local policy by following this article. - Try to install Asp.Net 4.5 in IIS 8, sometimes the framework resolves the issue. In this post we will discuss how to resolve "The tagging service is currently unavailable" error in SharePoint 2013. To resolve this issue go to the Managed Metadata Service Application and then check the option as "This service application is the default storage location for keywords." Now you should be able to use tagging service. We can simply hide the search box from the home page by using css. For this edit the page and put a content editor web part. And can write the below css code in the content editor web part html source code. After this save and publish the page, the search box will become hide. Web Service Action". This action enables designers to call REST services and OData web services. This action will make an HTTP web service call and return the data in the JSON format. This action could be used to call any website that exposes web-based APIs. 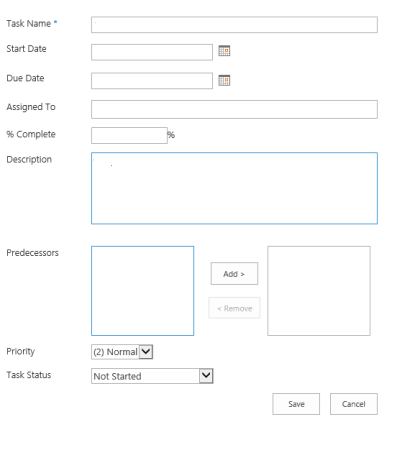 This action is available when you select the SharePoint 2013 workflows and can be added to the design surface using the new Shapes or the Actions drop down. The Start Workflow Action has been added to allow SharePoint 2013 workflows to start SharePoint 2010 workflows direction from the workflow. This can be added directly from the shapes or workflow action menu. Once configured the existing sharepoint 2010 workflows are ready to use again without any modification. SharePoint 2013 designer has now improved feature towards building workflow, packaging and installing workflow to sharepoint sites. The workflow enhancements in SharePoint Design 2010 and the SharePoint 2010 workflow framework still work in SharePoint Designer 2013. Now when you will try to create a new workflow, it will ask you the platform type: SharePoint 2010 workflow or sharepoint 2013 workflow. The new SharePoint 2013 workflow platform type is built using Windows Azure Workflow services. So if you are creating sharepoint 2013 workflow, then the site which is connected in SharePoint Designer must have Windows Azure Workflow services installed. If you are using Microsoft office 365, then no need to install Windows Azure Workflow, it comes by default. Looping is now possible with SharePoint 2013 designer workflow, in SharePoint 2010 Looping was achived through Visual Studio workflow only. New shapes and control of workflow is provided with the Windows Azure Workflows. These new shapes available in SharePoint Designer are Stages, Loops, and Steps. These new shapes enable branching and looping logic that was provided by the new SharePoint 2013 workflows. You can drag and drop new shapes to the designer surface. Now the visual designer has same rich representation as Visio with a graphical design surface and sets of shapes for use on the designer surface. To get the built-in functionality of Visual Designer, Visio 2013 should be installed on the same machine as SharePoint Designer. The text based designer view also exists there and you can switch at any time if you want and vice versa. The changes that are made in the text-based designer are translated into the visual designer and vice versa. The new Copy and Paste feature of SharePoint 2013 Workflow, helps to reuse some of the conditions or actions that had already been configured. But it has no Control+Z option to undo the last command, so we need to be a bit careful while using the copy paste feature. A new variable name as Dictionary type has been in introduced in SharePoint 2013 workflows to pass data around a workflow. A Dictionary type has a collection of Name/Value pairs. If you want to check how to disable Mobile access in SharePoint 2010 click here. In SharePoint 2013, when ever a request comes from a mobile devices then it will automatically redirect to a different page (mblwp.aspx). The page is presented in _layouts\Mobile\mblwp.aspx. If you want to disable the redirection then we need to modify in the web.config file. Now automatic mobile redirection will be disabled. The default location for this file in SharePoint 2013 is C:\Program Files\Common Files\microsoft shared\Web Server Extensions\15\TEMPLATE\IMAGES. You can directly replace the default file with your own new file or you can also put this through SharePoint designer. Open SharePoint designer 2013 -> All Files -> images folder and then you can import the files to the images folder. Now you can open the master page, Check out the master page. Right click on the master page and then click "Edit file in advanced mode". Now save and publish the master page. Now the new favicon will appear in the browser. If it did not appear (due to cache), clear the browser cache and reload the page again. If you are developing any SharePoint 2013 solution using Visual Studio 2012, then it will ask you to enter the local debugging URL in SharePoint Customization Wizard. - Then in the Properties window, Change Site URL Property to the new URL what ever you want to give. Next time when you will debug or deploy, the New URL will be hit. - What's new for mobile devices in SharePoint 2013 ? In Anonymous authentication type users can access SharePoint content without validating their credentials. Anonymous authentication is disabled by default. You can use Anonymous authentication if sharepoint content does not require security and is available for all users like any public Internet website. Forms-based authentication validates users based on credentials that users type in a logon form. Unauthenticated requests are redirected to a logon page, where a user must provide valid credentials and submit the form. The system issues a cookie for authenticated requests that contains a key for reestablishing the identity for subsequent requests. 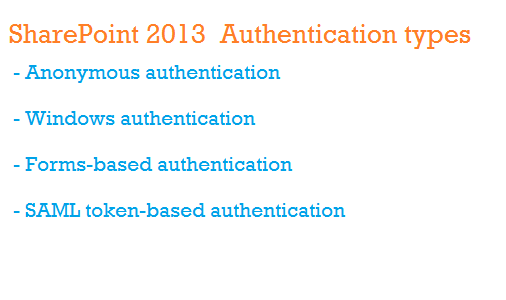 SAML token-based authentication in SharePoint 2013 uses the SAML 1.1 protocol and the WS-Federation Passive Requestor Profile (WS-F PRP). If you use Active Directory Federation Services (AD FS) 2.0, you have a SAML token-based authentication environment. you can get some more information here. In this post we will discuss how to create an application page in SharePoint 2010 using Visual Studio 2012. If you want to check how to create an application page using visual studio 2010 in sharepoint 2010, then you can see this article. - What's new in Developer dashboard in SharePoint 2013? You can get more information on application pages as well as you can check what is the difference between site pages and application pages. Then in the SharePoint Customization wizard, give the local site for debugging as well as chose Deploy as a farm solution. There are certain limitations in Sandboxed Solution. - Then right click on the project -> Add New Item and then from the Add New Item dialog box, chose Application Pages (Farm Solutions only) template. - Then you can put some controls to the application page, as well as you can write some code for that. - Now Build and Deploy the project, If it is deployed successfully, then we can browse the application page. In SharePoint 2013, application pages deployed to C:\Program Files\Common Files\microsoft shared\Web Server Extensions\15\TEMPLATE\LAYOUTS folder location. This will open the Form Options dialogbox. In the Form Options dialog box, see the Web Browser category. There uncheck "Show InfoPath command in Ribbon or toolbar". Then click on OK as shown in the figure below this will hide the Ribbon in the infopath form. Share with everyone is a new feature like microblog sites like twitter. You can start a conversation with people by posting to the public newsfeed. People who are following you can see the post. And any one who see the post can reply to the post also. Apart from text you can also post links, videos, documents, pictures etc. Click on the Newsfeed at the top of the page, Then click on Share with everyone textbox and type the text and then click on Post. If you want to reply then you can click on the reply button and then reply to the conversion. You can not reply to other replies. But there are also some conversations which are "locked" and do not allow additional replies. In this post we will discuss about SharePoint server 2013 databases in SharePoint 2013 deployments. In my last post we discussed about various databases which are presented in both SharePoint Foundation 2013 and SharePoint Server 2013 deployments. The User Profile service has three databases that support SharePoint Server 2013. 1- Profile: It stores and manages users and associated information. 2- Synchronization: This stores configuration and staging data for use when profile data is being synchronized with directory services such as Active Directory. 3- Social Tagging: The Social Tagging database stores social tags and notes created by users, alongside their respective URLs. This database stores information about pending and completed document conversions and updates. The Machine Translation Services stores information about pending and completed batch document translations with file extensions that are enabled. Project Server database contains data about All Project and Portfolio Management (PPM) data, Time tracking and Timesheet data and Aggregated SharePoint project site data. The PerformancePoint Services database stores temporary objects and persisted user comments and settings. It stores temporary state information for InfoPath Forms Services, Exchange Server, the chart Web Part, and Visio Services. More information you can get in technet article. In this post we will discuss about various service application databases available in SharePoint 2013. The below are the databases which are presented both in SharePoint Foundation 2013 and SharePoint Server 2013 deployments. App Management database stores the app licenses and permissions that are downloaded from the SharePoint Store or App Catalog, and is used by App Management Service application. The Search service application has four databases that support SharePoint 2013. 1- Search Administration: The Search Administration database hosts the Search service application configuration and access control list (ACL) for the crawl component. 2- Analytics Reporting: The Analytics Reporting database stores the results for usage analysis reports and extracts information from the Link database when needed. 3- Crawl: The Crawl database stores the state of the crawled data and the crawl history. 4- Link: The Link database stores the information that is extracted by the content processing component and the click through information. Usage and Health Data Collection database stores health monitoring and usage data temporarily, and can be used for reporting and diagnostics and is used by Usage and Health Data Collection service application. It stores features and settings for hosted customers. There are other databases which are specific to SharePoint server 2013, we will discuss in other article. Here is a good link to download code samples for SharePoint 2013 object model. - other areas of SharePoint development. The code sample are in C#.Net in Visual Studio 2012. You can download SharePoint 2013 object model from this link. There are 3 types of databases installed when you deploy SharePoint 2013 and they are: Configuration database, Central Administration Content and Content database. Also it contains information about default quota settings and blocked file types etc. Central Administration content database stores all configuration data for the Central Administration site collection. The default database name prefix when it is installed by using the SharePoint Products Configuration Wizard is SharePoint_Admin_Content. Content databases store all content for a site collection. This includes site documents or files in document libraries, list data, Web Part properties, audit logs, and sandboxed solutions, in addition to user names and rights. All of the files that are stored for a specific site collection are located in one content database on only one server. A content database can be associated with more than one site collection. The default database name when installed by using the SharePoint Products Configuration Wizard is WSS_Content. Followed from technet article. Here we will discuss how to resolve SharePoint 2013 designer error which comes once you migrate from SharePoint 2010 to SharePoint 2013. The error message ususally comes as: Sharepoint Designer cannot display this item. This error comes if you try to open and modify a workflow. This error usually comes if you have SharePoint designer 2010 before installing SharePoint designer 2013. So the solution (not sure correct or not but works for me) is to delete the cache for SharePoint designer. So open the below directory and delete the contents. After this hope the error will not come to you. - View Only: It enables users to view application pages. - Limited Access: It enables users to access shared resources and a specific asset. Limited Access cannot be edited or deleted. - Read: It enables users to view pages and list items, and to download documents. - Contribute: Contribute enables users to manage personal views, edit items and user information, delete versions in existing lists and document libraries, and add, remove, and update personal Web Parts. - Edit: It enables users to manage lists. - Design: Design permission level enables users to view, add, update, delete, approve, and customize items or pages in the website. - Full Control: It enables users to have full control of the website. - Restricted Read: This permission level is only for Publishing sites only. It enables View pages and documents. - Approve: This permission level is only for Publishing sites only. It enables Edit and approve pages, list items, and documents. - Manage Hierarchy: This permission level is only for Publishing sites only. Create sites; edit pages, list items, and documents, and change site permissions. By default in Visual Studio 2012, the templates required for SharePoint 2013 will not come like template to develop Apps in SharePoint 2013, Apps for Office 2013, SharePoint-2013 Empty Project etc. So for this we need to install office developer tools for Visual Studio 2012. You can download from this link and then install. To create a new task to a task list open the task list and click on new task link and this will open the New task page. Fill all the details above and click on Save. A new task will be get created. Task list is very useful for the collaboration feature. First Open your SharePoint 2013 site. If you are new to SharePoint 2013, then you can see this article on how to create a site collection in SharePoint 2013. Then from the Quick Launch bar, Click on Site Contents. This will open the Site Contents page which usually contains the lists, libraries and other apps. In this page click on add an app icon and this will open the apps page. This will ask you to put a name for the Tasks and click on Create. It will now create the Tasks list. 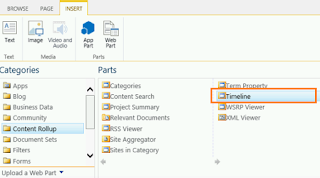 Timeline webpart is a new web part added into SharePoint 2013. The Timeline web part provides the timeline without the Summary or Quick Edit links. The Timeline web part provides the ability to move the layout of the tasks. - Edit the SharePoint page and then from the Ribbon click on Insert Tab and from there click on Web Part icon. - This will open the webpart categories page, where it will show list of webparts. From there select the "Content Rollup" category. In this category select "Timeline" web part and then click on Add as shown in the fig below. - This will add the timeline web part to the page successfully. - Then we need to give a datasource to the timeline web part. The data source can come from other site collections also. This data source url is nothing but a task list url. - To give the datasource url, edit the timeline web part and then in the Data Source section, give the data source url in the Select the data source to connect to the timeline. Here we need to select the task list url. - This is the default language to build search queries. to the SharePoint search service. For more information you can check here. - Also you can check some enhancements in Keyword Query Language. - FQL is a structured query language that supports advanced query operators. - You can use FQL when you want to create complex queries that you want to pass programmatically to the SharePoint search service. - FQL isn't intended to be exposed to end users, and is disabled by default. For more information you can check here. In this post we will discuss about how to Configure Allow users to browser-enable form templates in SharePoint 2013 through SharePoint central administration, as well as how we can enable using PowerShell. 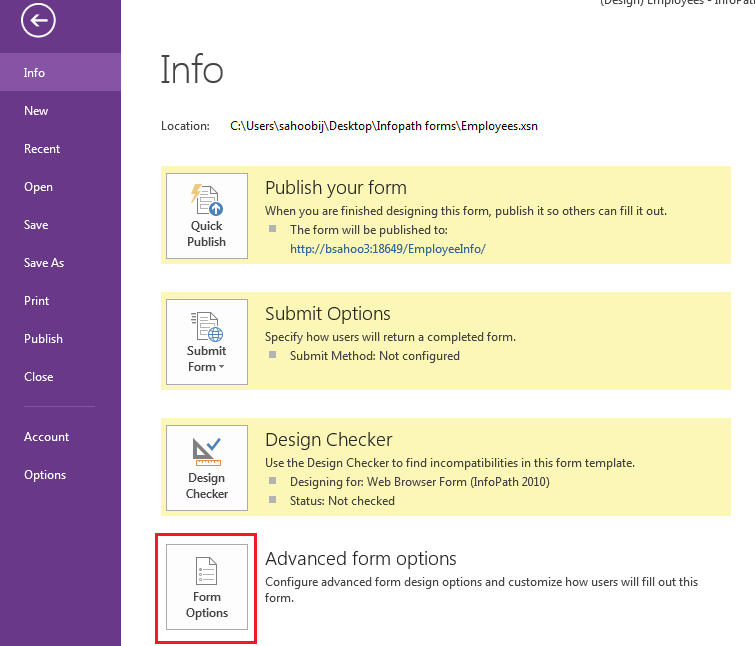 Through SharePoint 2013 central administration we can configure "Allow users to browser-enable form templates". 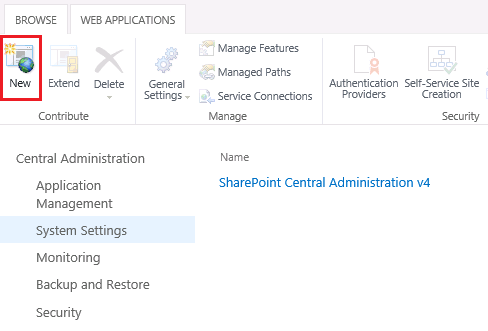 - Open SharePoint 2013 Central Administration, then go to General Application Settings. - For there select Configure general application and feature settings. - Then in the General Application Settings Click on Configure InfoPath Forms Services. - In Configure InfoPath Forms Services page, "User Browser-enabled Form Templates" section, Check on "Render form templates that are browser-enabled by users" check box and click on "Ok" button. - Open SharePoint central administration and then Launch Farm Configuration Wizard. Then in the next step click on the Start the Wizard and this will open the list of the services page in the next page. Then from the list, Select "State Service" check box. Then click on OK. It will activate the state service. These dlls are located in %ProgramFiles%\Common Files\Microsoft Shared\web server extensions\15\ISAPI. SharePoint 2013 now does not support FullTextSqlQuery. Also Microsoft advised not to use FAST Query Language (FQL), but still it is there in SharePoint 2013. Microsoft now advised to use Keyword Query Language (KQL) and syntax to build their queries against a search engine. Onlysharepoint2013: This will return items containing Onlysharepoint or Onlysharepoint2013. Onlysharepoint2013 Enjoysharepoint: This will return items containing Onlysharepoint2013 and Enjoysharepoint. Onlysharepoint2013 OR Enjoysharepoint: This will return items containing Onlysharepoint2013 OR Enjoysharepoint. "Onlysharepoint2013 Enjoysharepoint": This will return items containing exact phrase "Onlysharepoint2013 Enjoysharepoint". Firstname:B : This will return all people whose Firstname starts with B. Title:Onlysharepoint2013 IsDocument:1 - Returns all documents with "Onlysharepoint2013" in the title. 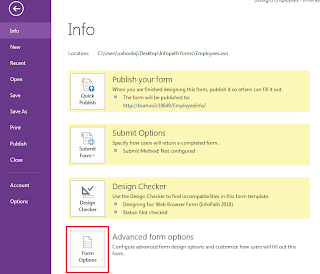 Author:Onlysharepoint2013 IsDocument:1 - Returns all documents authored by "Onlysharepoint2013". Onlysharepoint2013 FileExtension:pdf - Returns PDF documents containing "Onlysharepoint2013". In SharePoint 2010 there were 2 types of crawling: 1- Full Crawl 2- Incremental Crawl. Full crawl focuses on almost everything about the content, whereas incremental crawls focus on picking up the changes in content or pushing the updated ACLs down to the affected items within the index. Microsoft introduced a new type of crawl known as Continuous crawl. To provide maximum freshness, continuous crawls focus on smaller changes and use the change logs to pick up those changes faster and in more efficient ways. Continuous crawls overlap each other, which means one continuous crawl doesn't hold up the other one in picking up the changes. Continuous crawl can't be paused or stopped, only option is to disable it. Result source is the new name for scopes and federated locations. Compared to SharePoint 2010, there are some changes in SharePoint 2013 result source. - Result sources can be accessed from the search service application and in Search Settings at each site. - In SharePoint 2010, FAST has been removed as an information protocol. There are 2 new protocols introduced. 1- Exchange SharePoint: Select Exchange protocol for results from Exchange. 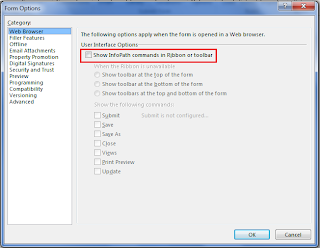 2- Remote SharePoint: Select Remote SharePoint for results from a search service application hosted in a separate farm. - Search Scope Rules has been removed, rather Now you can can specify a filter that will be applied to your queries using new Query Transformation settings. There is also a nice query builder that enables you to build your query transformations using a designer and sort and see the returned results in real time. - The term scope is no longer used in SharePoint 2013 search and has been removed from the search UI. SharePoint 2013 introduced a new feature called as Design Manager which helps customers customize SharePoint sites in a wizard-like approach. receives the non-SharePoint branding assets (HTML, CSS, images etc) from the design agency. The design agency can create these files using any web design tool such as Dreamweaver or Microsoft Expression. The developer uploads the received files to SharePoint. Then, with a behind the scenes automatic process, SharePoint-specific assets (*.master & *.aspx) are generated. This process repeats until the branding task is complete. Then the developer exports the branding assets and creates a package (*.wsp) to deploy the custom brand to the production farm. Content by Search (CBS) Web Part enables users to aggregate content directly from the search index. CBS is not constrained to one site collection. It's based on search, so it must to go beyond the site collection boundary. The query results in CBS may not be up to date. CBS renders only major versions and cannot query content from site collections marked to be excluded from the search. A query in CBS can be configured to aggregate content based on values on the page or within the URL. This will install the feature but we need to activate before using this. There is not much changes in managed meta data in SharePoint 2013 compared to SharePoint 2010. Like SharePoint 2010, SharePoint 2013 managed meta-data groups can be local or global. A global group is the one that can be used by any site collection connected to the same instance of the MMS application. A local group is one that although stored in the MMS application database is only available to a specific site collection. SharePoint 2013 now includes the ability to work with custom properties in terms and term sets through the browser, and CSOM APIs are added for remote clients. Custom properties are either shared or local. Custom properties are either shared or local. Those available in all reused and pinned instances of the term are called shared custom properties. Local properties are only accessible for the term within the source term sets. Through Site Policies you can control the life cycle of a SharePoint site. Suppose your requirement is that you want a site should automatically delete after 6 months of date of creation. Or you want it should start a workflow automatically and then it should delete the site. In this type of schenarious site policies will be helpful. In SharePoint 2010, you could create only policies attached to content types or at the site collection level. But in SharePoint 2013, an new link on the name of Site Policies is available under Site Collection Administration in Site settings page. - Delete the site automatically. The above client object model code will add one item to MyCustomList. Here it will update the item whose ID=1. This will delete the item whose ID = 1. This will return all the SharePoint lists.